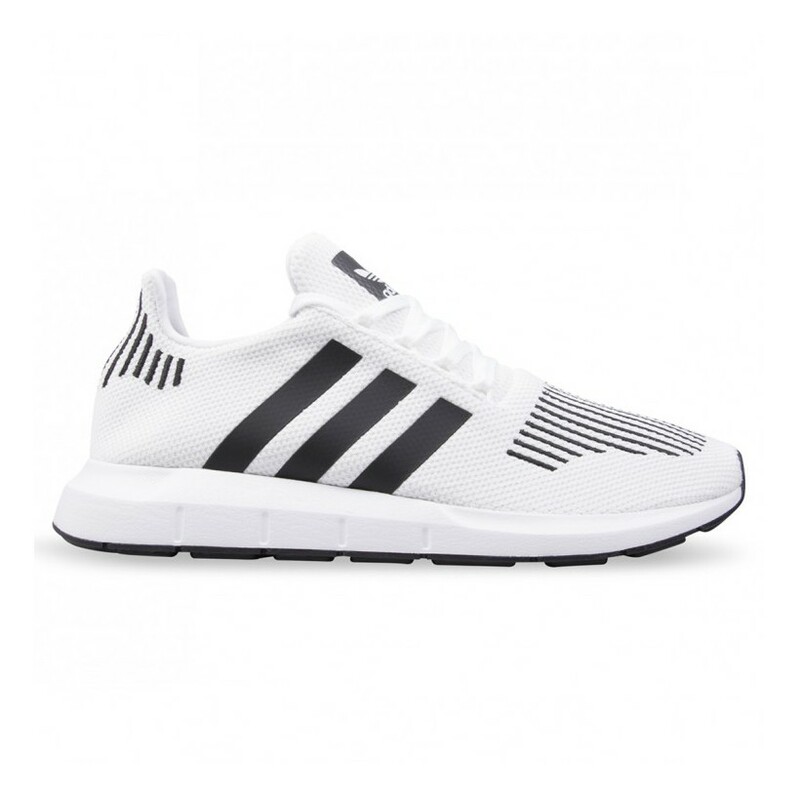 adidas Originals present the Swift Run. Drawing inspiration from numerous heritage Trefoil running styles, the Swift Run updates old-school looks with modern tooling and materials. 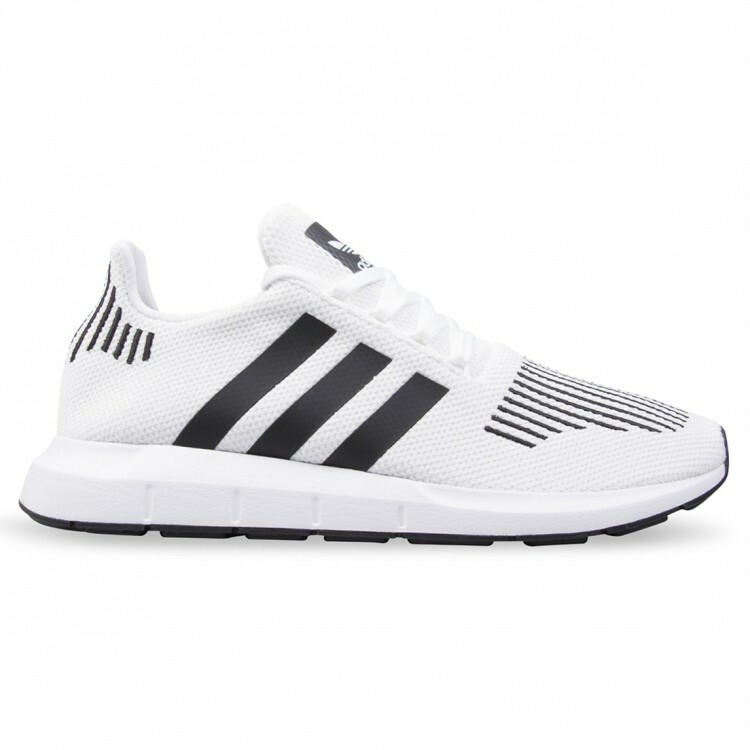 Dressed in classic White & Black, a textile knit upper with bonded Three-Stripes provides a sock-like fit while sporting contrast embroidered detailing on the toe vamp and heel. With a mesh tongue for breathability and a textile lining for comfort, the Swift sits atop an injection-moulded EVA midsole with a custom rubber tread outsole that promotes flexibility and traction.